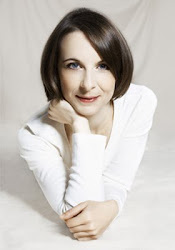 Susanne Vethake is the founder of amabilées - music for flute, harp and double bass. She is a soloist of the First German Harp Ensemble / Erstes Deutsches Harfenensemble and member of several chamber music ensembles and bands. She works as a flute teacher to share her musical experiences at Musikschule Lebenstraum in Berlin-Charlottenburg - a music school for adults of all ages and gives also private lessons: fluteimpressions. As arranger and composer Susanne Vethake has also worked for different theatre, film and television productions: Theatre Hanover, Festival Premières de Théâtre National de Strasbourg (Match Factory Girl / Das Mädchen aus der Streichholzfabrik), for Meta Design AG (e.g acoustic logo for Allianz Arena Munich / Allianz AG together with K3 Sonic Factory and Brandsonic) as well as for several music production studios (e.g Boyd/Klein Audioproduktion: A Case for Two, tv series, ZDF). To improve her artistic skills as well as her talent to support students' learning process she has participated regularly in trainings in the field of education and coaching. Wide-ranging insights into the process of change and evolvement have currently resulted to further also people who search for assistance in private and business-related matters: let your inner voice roar. Further details and selected projects on home. Music studies at Berlin University of the Arts, at University of Music, Drama and Media Hanover as well as University of Music Lübeck. Diploma 2000 (flute and musical education) - Diploma thesis: "Adults as music students. Reflection focussing the lessons' design from the perspective of humanistic psychology." Teaching experiences as a private teacher as well as at different schools: Musikschule Lebenstraum (music lessons for adults of all ages) in Berlin-Charlottenburg, Musik- und Kunstschule Clara Schumann in Fürstenwalde, at Villa Jebsen in Stockelsdorf and at Musik- und Kunstschule Lübeck e.V. : e. g. flute teacher in Instrumentenkarussel and Musikwerkstatt; one-to-one classes as well as group lessons for children, teenagers, and adults.